Works with our hand scraped and furniture grade floating shelf and includes matching decorative hardware. It is the final touches that often make the design stand out. 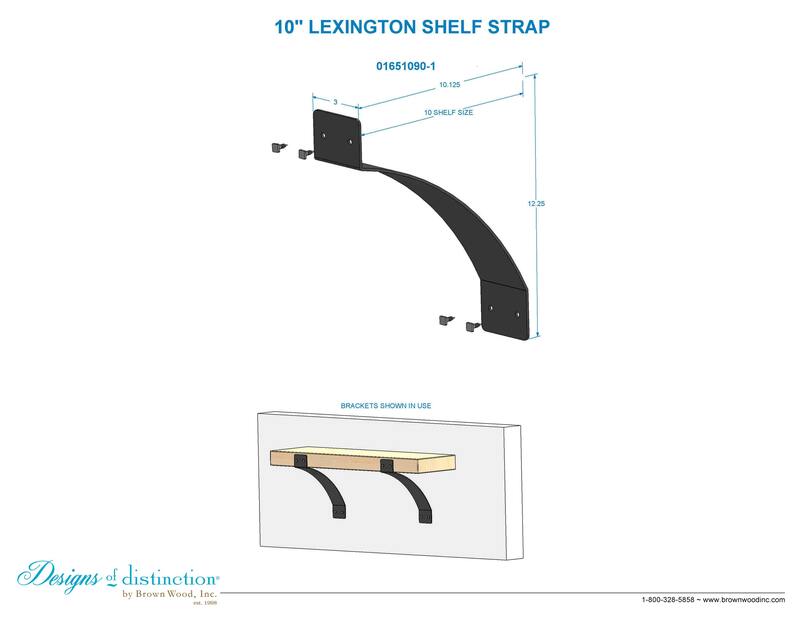 The decorative 10″ Lexington Shelf Strap adds bold detail to finalize your design. Available in 4 powder coated finishes and Stainless Steel, the Lexington Shelf Strap is designed for use with our Hand Scraped or Modern Floating Shelves. Shop more of this look in our Modern Farmhouse Collection.